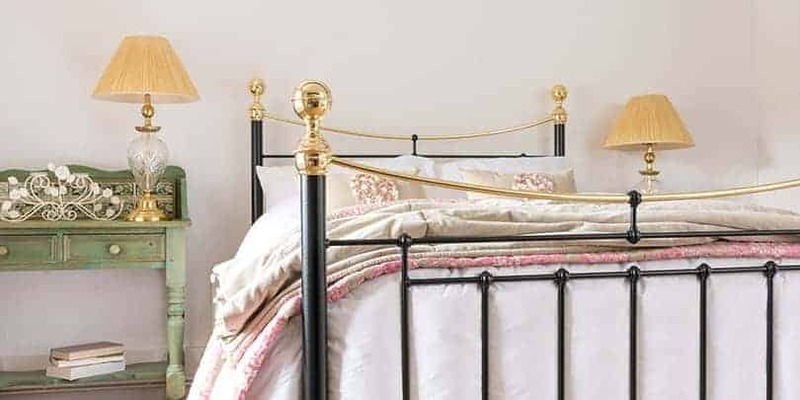 The Helena Iron & Brass Bed | Wrought Iron & Brass Bed Co.
Named after Queen Victoria’s daughter. 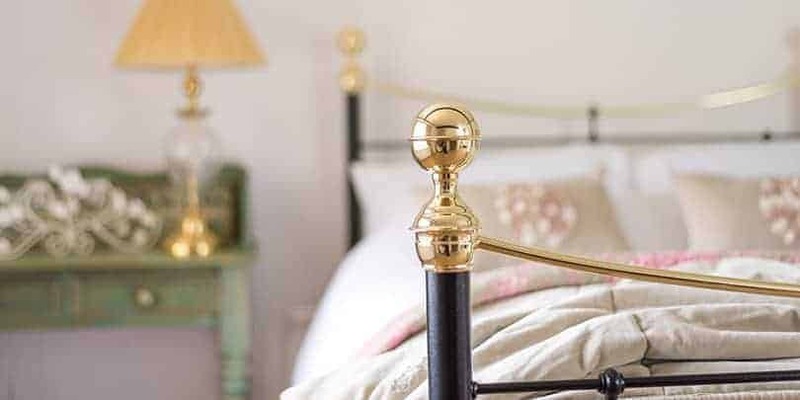 Helena features the much-loved sweeping brass bar of our Victoria iron & brass bed and it is finished with our authentic chunky brass finials. 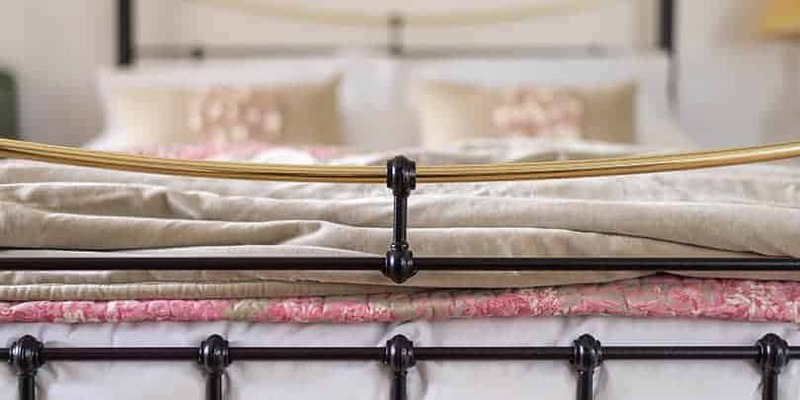 With the added iron detailing, which can be found on our Lily iron bed. 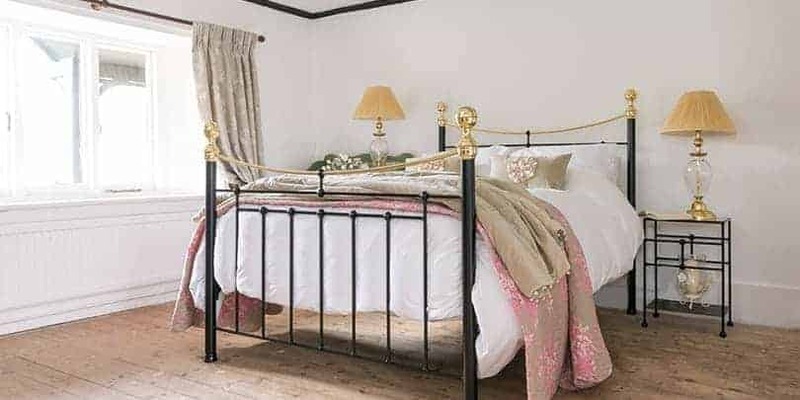 Helena encompasses a traditional Victorian iron bed design, which is wonderfully nostalgic and timeless. Like all our beautiful iron beds and iron & brass beds. The Helena iron and brass bed features hand sand casted iron feet and knuckles. Hand crafted from iron tubular legs and solid iron bar. 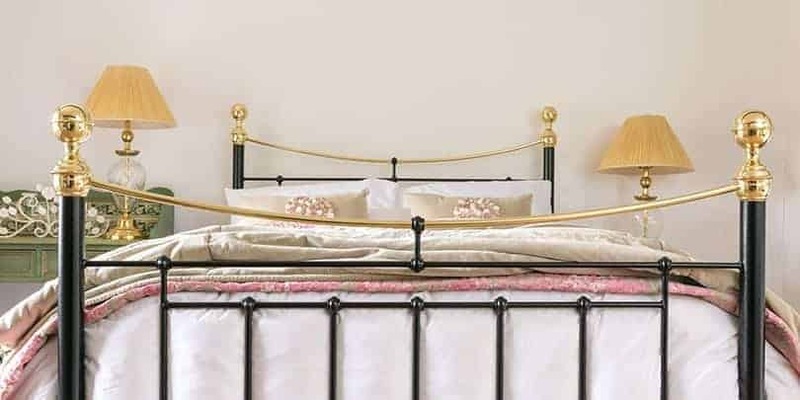 The Helena iron and brass bed is robust, solid and guaranteed to last you a lifetime.